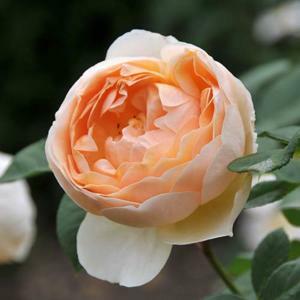 English shrub rose producing deeply cup-shaped double flowers of soft peach to yellow. Very fragrant. Upright bushy habit, strong growing, healthy and disease resistant. Can be trained as a low climber. Bred by David Austin, introduced 1995. Named after the novel by Thomas Hardy.